If you have difficulty listening this podcast you can also find it here, via iTunes, or download the mp3 file directly at this link. Here are some of the covers discussed during the show. 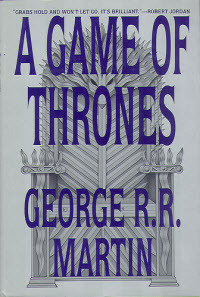 The original US cover for A Game of Thrones. 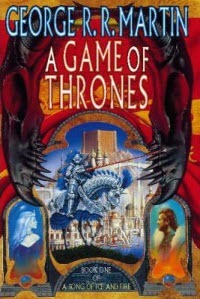 The original UK cover for A Game of Thrones, by Jim Burns. 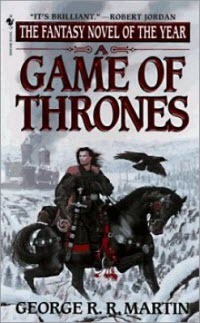 A more traditional fantasy cover for the US edition of A Game of Thrones, by Stephen Youll. 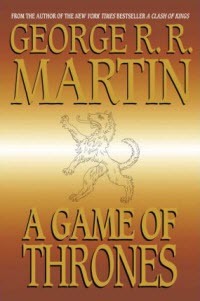 A more mainstream Game of Thrones cover, used once the series had become popular. Back to a more traditional fantasy image with the arrival of the Game of Thrones TV series. 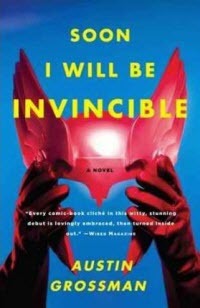 Iconic – the cover of Austin Grossman’s Soon I Will Be Invincible. 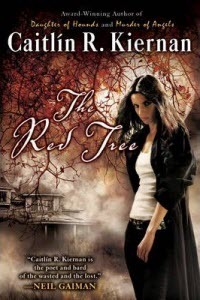 The cover of The Red Tree by Caitlín R. Kiernan. The same basic art used for a different book. 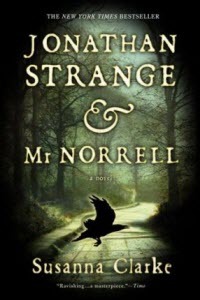 A fantasy cover for Jonathan Strange & Mr. Norrell. 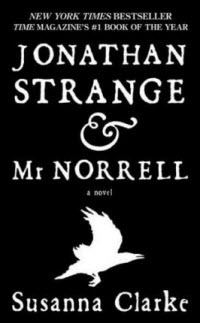 A more mainstream cover for Jonathan Strange & Mr. Norrell. 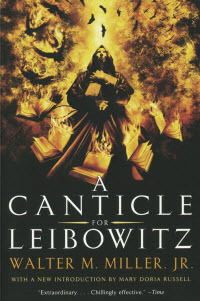 John Piacacio’s cover for A Canticle for Liebowitz. John’s original art for the A Canticle for Liebowitz cover. 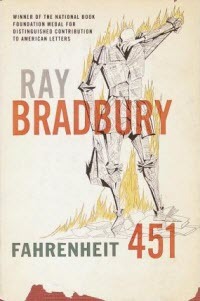 The original cover for Ray Bradbury’s Farenheit 451. 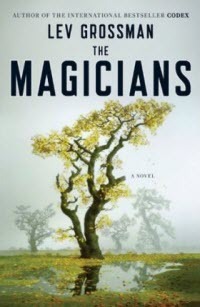 Lev Grossman’s The Magicians — no sign of a school for magic. 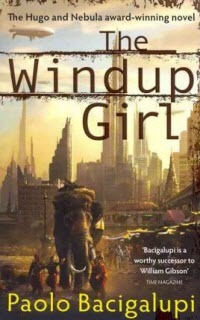 Paolo Bacigalupi’s The Windup Girl — too SFnal for such a successful book?. John Piacacio’s cover for L.E. 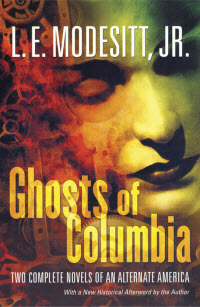 Modesitt’s The Ghosts of Columbia. 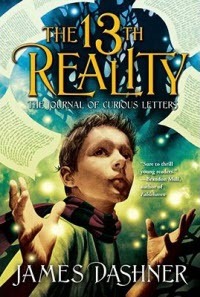 The final cover for James Dashner’s The Journal of Curious Letters. 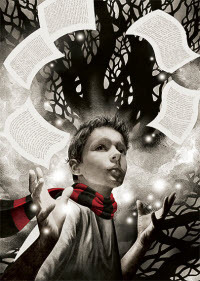 John Picacio’s original artwork for The Journal of Curious Letters. 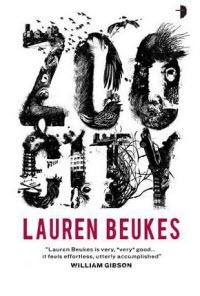 Joey Hi-Fi’s BSFA Award winning cover for Lauren Beukes’s Zoo City. 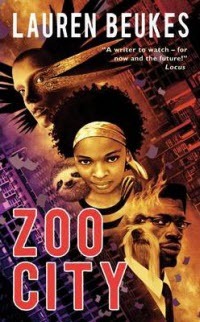 John Picacio’s US cover for Lauren Beukes’s Zoo City. 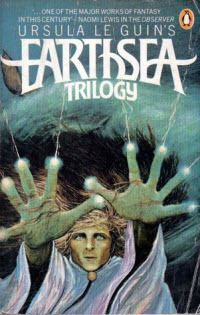 Earthsea – Ged with fair hair and blue eyes. Leo and Diane Dillon do a better job of depicting Ged. 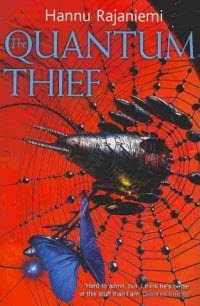 The UK cover for Hannu Rajaniemi’s The Quantum Thief. 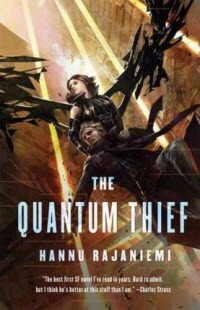 The US cover for Hannu Rajaniemi’s The Quantum Thief. 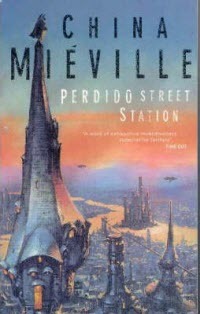 Edward Miller’s cover for the original UK edition of Perdido Street Station. 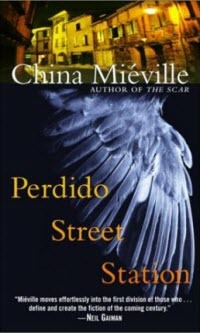 The US cover for Perdido Street Station. 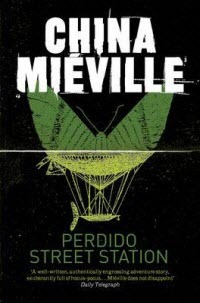 The new UK “design” cover for Perdido Street Station. 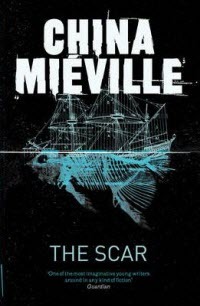 Edward Miller’s UK cover for The Scar, perhaps hinting of Turner. 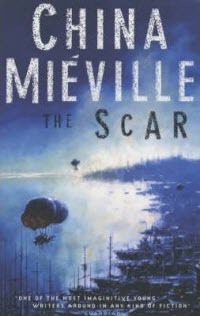 The US cover for The Scar also has a Turner-ish feel. 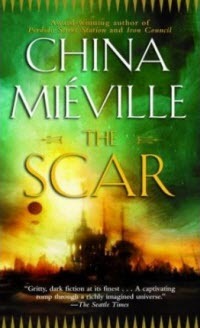 The new UK “design” cover for The Scar. 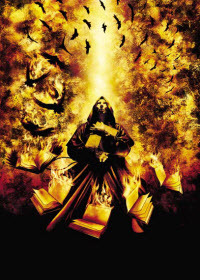 John Picacio is a 2011 Hugo Award finalist for Best Professional Artist. His 2010 published cover artwork credits include Michael Moorcock’s Elric: Swords And Roses (plus over 20 interior illustrations), Lauren Beukes’ Clarke Award-winning novel Zoo City, Mark Chadbourn’s Dark Age trilogy, as well as several more major works. 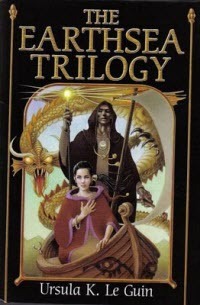 He won the 2005 World Fantasy Award and is best known as one of the most prolific American cover artists for science fiction, fantasy, and horror of the last ten years. His artwork is noted for its diversity and range, often combining traditional drawing and painting with digital finishes, as well as exploring methods such as hand-made assemblages. He’s cover illustrated books by a who’s who of major genre authors including Michael Moorcock, Harlan Ellison, Robert Silverberg, L.E. Modesitt, Jr., Dan Simmons, Joe R. Lansdale, Jeffrey Ford, Frederik Pohl, James Tiptree, Jr., and many more. 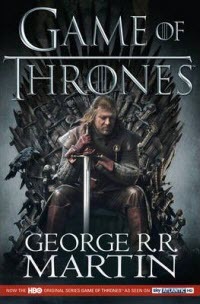 Amongst his forthcoming published works will be the much-anticipated 2012 calendar for George R. R. Martin’s A Song Of Ice And Fire as well as covers for Ian McDonald’s YA novel debut Planesrunner and new hardcover editions of Dan Simmons’ classic The Hyperion Cantos. 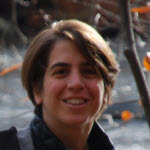 Irene Gallo has been the art director for Tor Books since 1994 and the creative director/webproducer for Tor.com since the spring of 2010. She is on the advisory board of Spectrum and the Society of Illustrators. 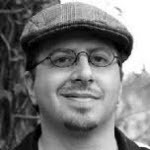 Joe Monti has had a few roles in his publishing career, from working in the trenches as a bookseller and book store manager, to the children’s fiction buyer at Barnes & Noble for over a decade. This is where he often became involved in book cover discussions, and where his taste and experience with book covers developed. 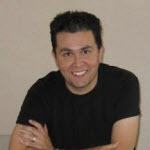 Joe was then a sales executive at Houghton Mifflin, then an editorial director at Little, Brown before becoming a literary agent at Barry Goldblatt Literary.